May 13, 2016–Here’s our weekly roundup of education news you may have missed. Achievement gaps and disagreements over addressing them are burning topics in K-12. 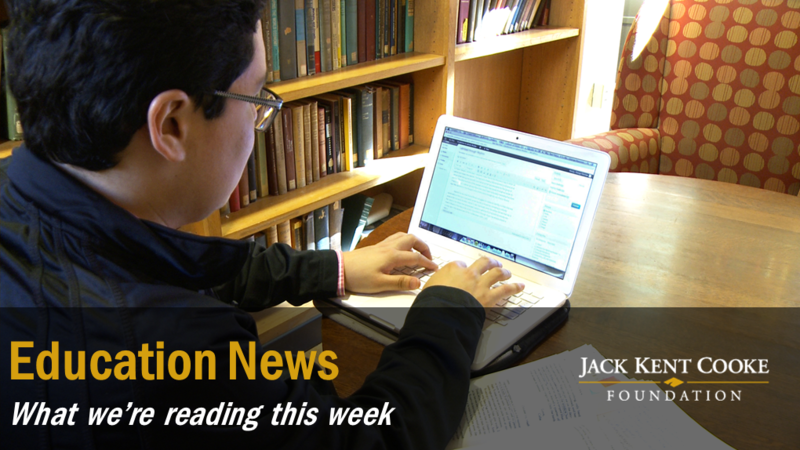 Funding higher education is a challenge, but there are a few bits of good news this week. “Public schools in the U.S. now have a majority of nonwhite students … and yet children of color — especially boys — still lag behind their white peers.” After thousands of student surveys and research using national data, Ron Ferguson speaks with NPR about how educators can better work with students of color to close achievement gaps. Education Week (paywall) shares new findings that most schools districts have achievement gaps, and districts with more resources often have the “worst inequities”. “An Obama administration proposal to ensure adequate resources for poor children in the nation’s schools has triggered a backlash on Capitol Hill and among the nation’s K-12 superintendents,” writes The Washington Post. The article details contention over how school districts should be directed to use federal Title I funding. Some colleges and universities offer free fly-in programs for students who otherwise would not be able to afford a campus visit. College Greenlight publishes a list of these opportunities that will be updated as institutions continue to announce their plans. New, slightly lower interest rates on federal loans will go into effect on July 1 for the 2016-2017 academic year. U.S. News & World Report details the changes. “I graduated from MIT with zero debt.” Our manager of outreach, Nara Lee, describes the accomplishments of talented Cooke Scholars and gives advice to students on identifying and applying for college scholarships in Getting Smart. Executive Director Harold O. Levy addresses the barriers to college access for bright, low-income students and spotlights the Cooke Prize finalists who are changing admissions and support practices on their campuses for Fox News.